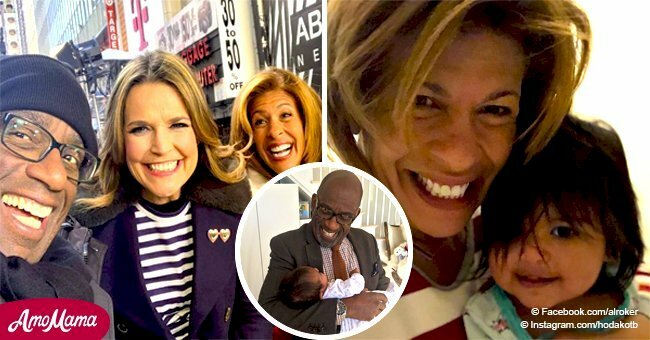 Today host and proud new mother Hoda Kotb revealed that her one-year-old got a special Independence Day present from NBC. 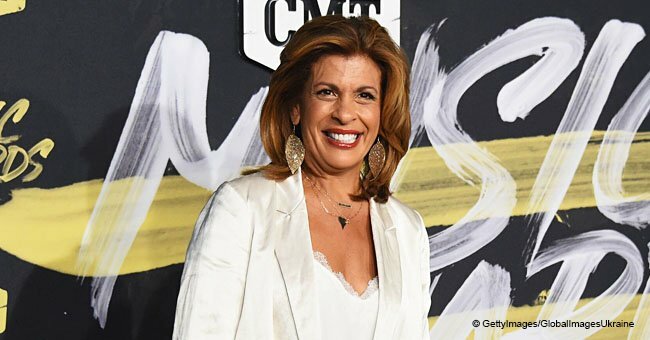 Hoda Kotb of the Today show fame recently shared a video of her 17-month-old adopted daughter celebrating the 4th of July on her Instagram page, and it is positively adorable. Little Haley Joy Kotb can be seen all grown up, standing and waving the national flag in a cute blue dress with multi-colored tassels. She later revealed that the top was a gift from one of NBC’s producers. Jenna Bush Hager, Kotb’s co-host on the Today show, responded to the Instagram post by complimenting baby Haley Joy’s fabulous fashion. She also commented on all the love being showered on the picture. 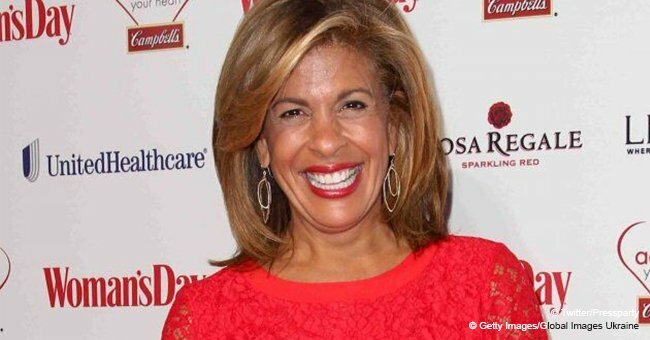 Read more about Hoda Kotb's career and motherhood on our Twitter account @amomama_usa. 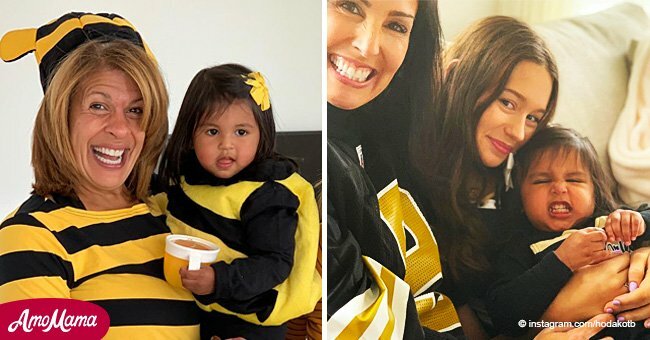 Hager herself also posted a delightful video of her daughters, 5-year-old Margaret, also known as Mila, and an even cuter 2-year-old Poppy. The TV star has been enjoying motherhood so far, as is clear from all her regular posts with her daughter. She said it’s the best job she has ever done in her life. She also confessed that it is something that she has never realized she was missing her whole life. Like other women, she had earlier tried to compensate by saying she could teach, or that she has nieces and nephews, but once she went forward with the baby, she realized that it was a totally different ball game altogether. The 53-year-old adopted Haley Joy Kotb in early 2017, to become a first-time mother. She has admitted in earlier interviews that going through with the adoption was one of the best things she has done in her life. She removed the stigma surrounding adoption, by saying that women sometimes think that their window for motherhood has passed, but there is always a way to experience it, and it’s OK.